Join us for All Night Fun!! Ages 13+ (younger siblings allowed or under 13 with a parent). Live music, games and prizes, raffles and roller skating fun! 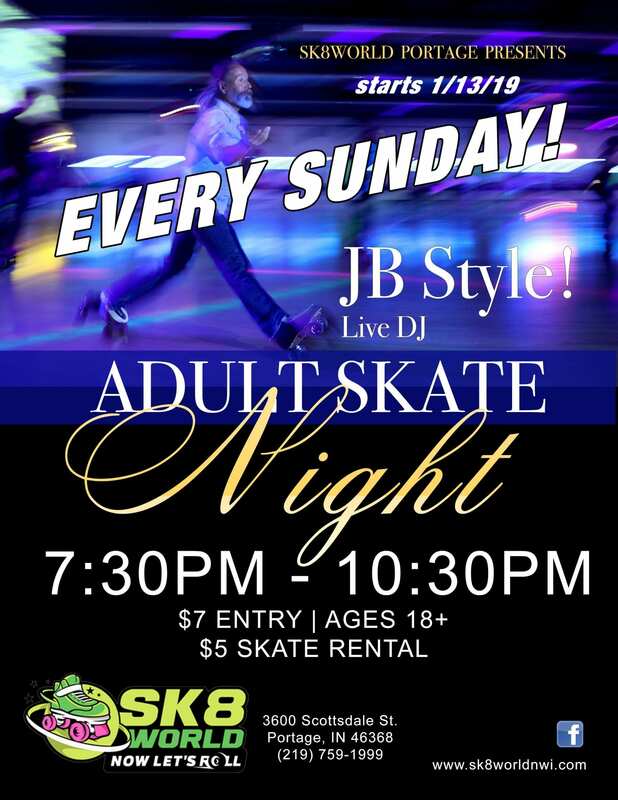 $25 at the door includes admission, skate rental, a meal and a soft drink! Don’t plan on sleeping, this is rolling all night long! THERE IS NO ADMISSION AFTER MIDNIGHT!! 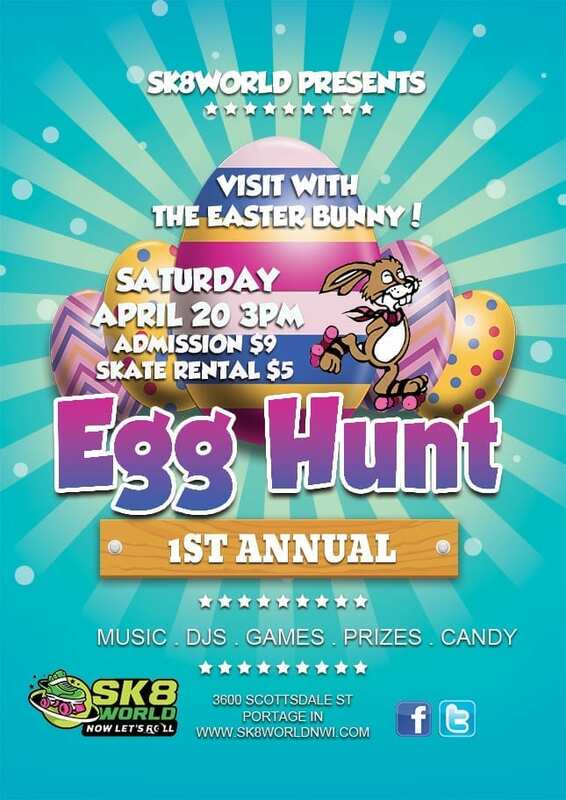 Join us for our first annual Easter Egg Hunt on Saturday April 20th at 3pm. Find hidden eggs filled with candy and prized all over the rink. The Easter Bunny will be making an appearance too! The fun begins at 3pm and we are excited to share this upcoming event with you and your family. 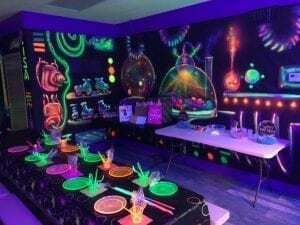 Book your birthday party on this session. 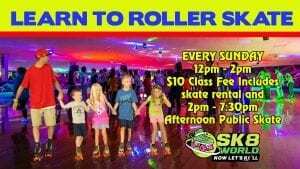 Join us for cheap skate Wednesday! 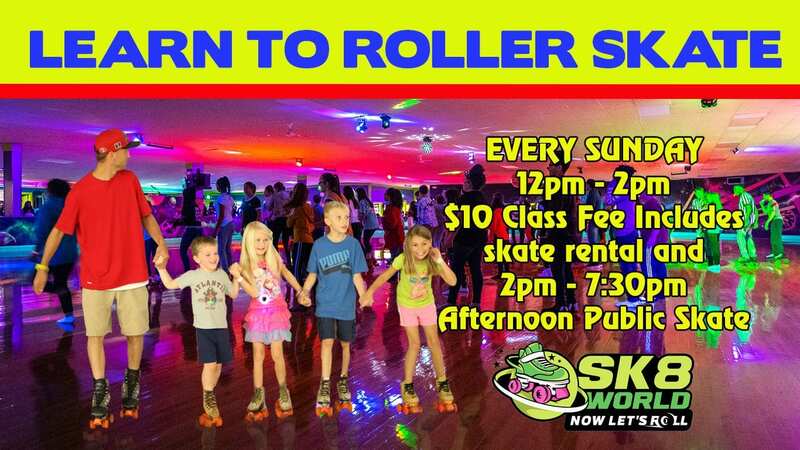 Bring the whole family for a fun time for only $7 per person including skate rental. Great for all ages, our DJ is ready to play great skating music! It's a great idea for a family fun outing. Public roller skating for all ages from 2pm - 7:30pm. Live DJ playing great skating music. 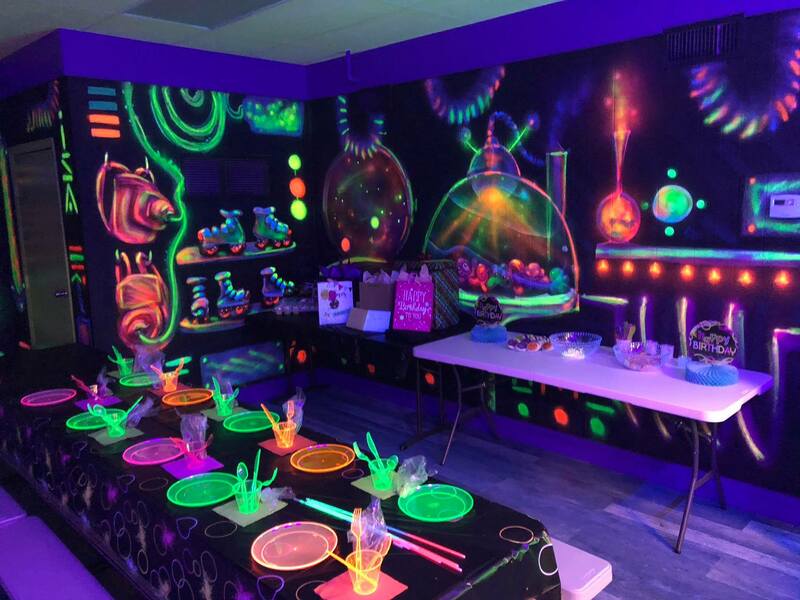 Birthday parties and more fun than you can have with family and friends. 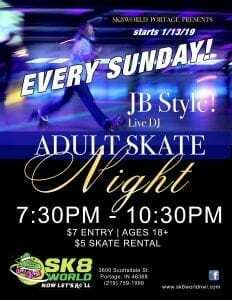 Admission is $9 per person and skate rental is $5 if needed. Non skating parents are free with their child. We have arcade games, lockers and even a couple massage chairs for your comfort and convenience. Check our schedule for all our open public skate times. 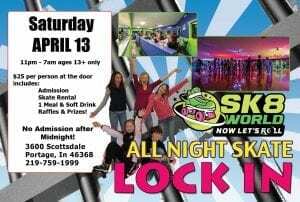 When you search on roller rink near me, think Sk8World Portage!